To greet our new-style website, we feature one of the country's most famous parish church organs, upon which Thomas Trotter recently gave the inaugural recital following a major rebuild at a cost of £800,000. 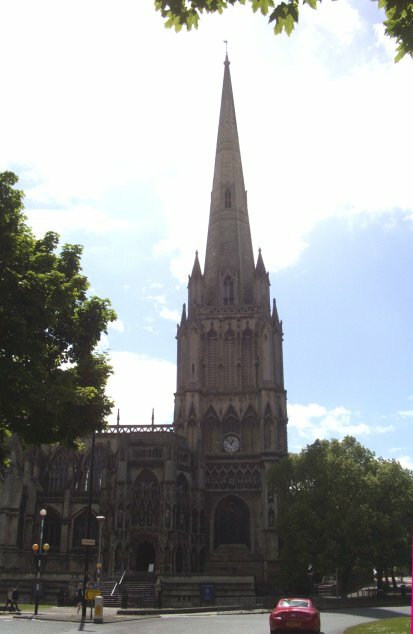 Although it is believed that organs have been used in St Mary Redcliffe for centuries, the first details come from 1726 describing an instrument built by Harris & Byfield. Its main claim to fame (apart from having a Great Organ compass down to CCC) was that it possessed "the first coupler of any kind with which any organ in this country was provided" according to Dr E J Hopkins. The story of the present instrument starts in 1910, when a contract was awarded to Harrison & Harrison of Durham. 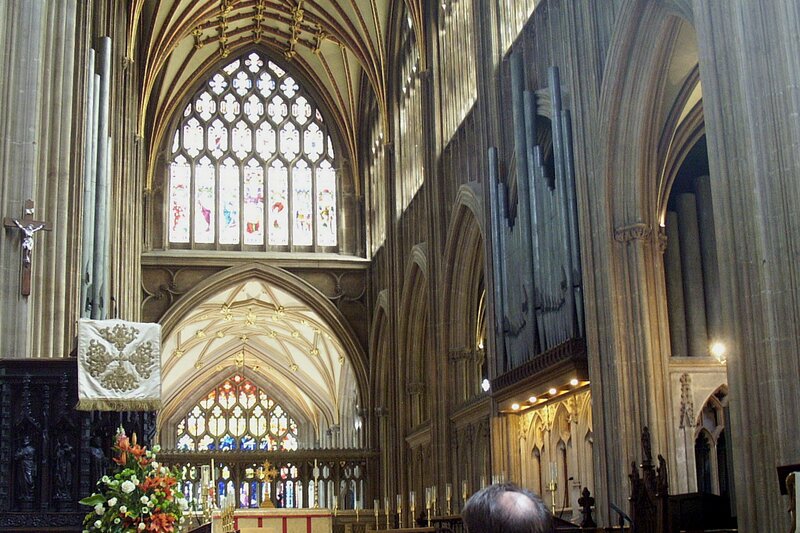 That organ also boasted innovative features, such as the placing of 32ft and 16ft pedal reed stops together with the whole Swell Organ within a stone chamber fitted with shutters: a very effective swell-box. The original Swell Organ was destroyed by fire in 1942 - not started by enemy action but by a thief in the vestry below. 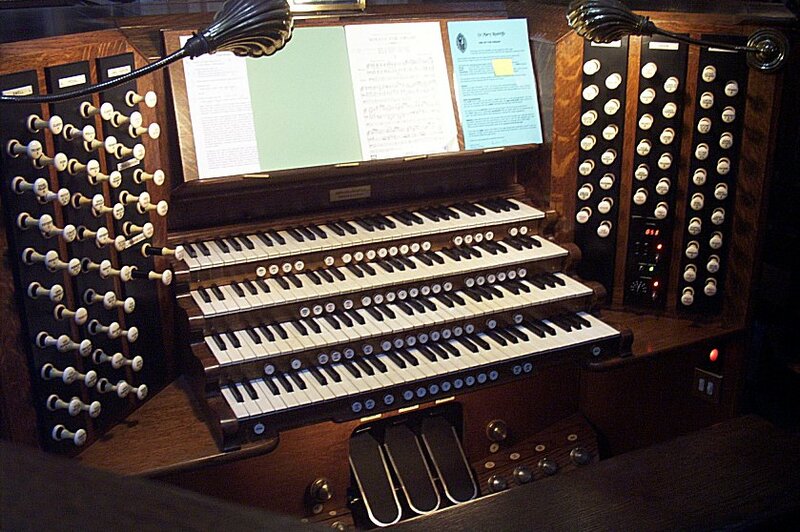 In 1947 a new Swell Organ was installed, and in 1974 the organ was cleaned and some tonal alterations & additions were made. Try the weblink (above right) for photos of the 2010 rebuild. Towards the end of his life, Arthur Harrison is said to have regarded this organ as his finest and most characteristic work.